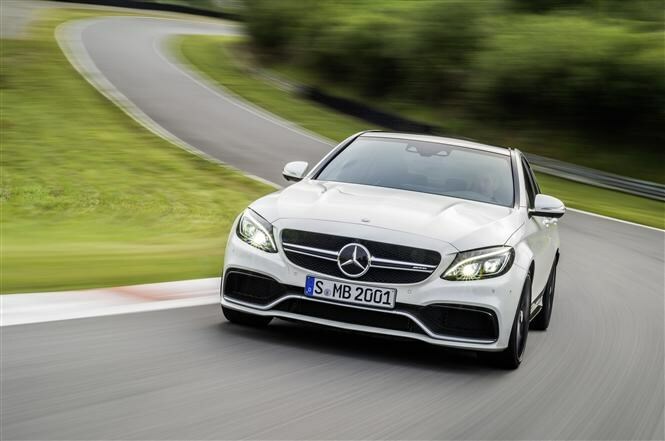 Main image caption The new C63 AMG. 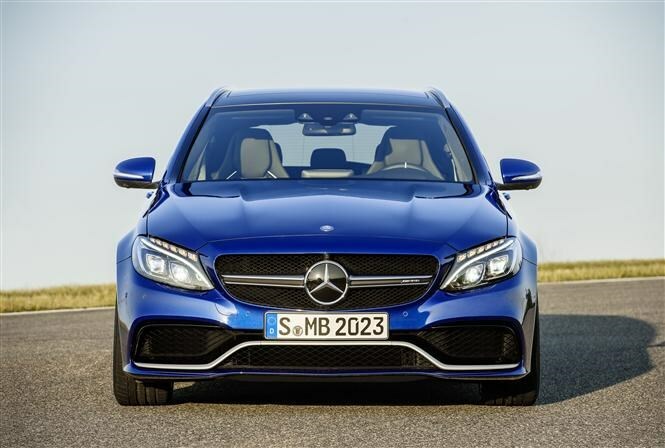 In a fantastic bit of news for those who don’t fancy the new BMW M3 or the Audi RS 4, word has reached us of an all-new Mercedes-Benz C63 AMG. 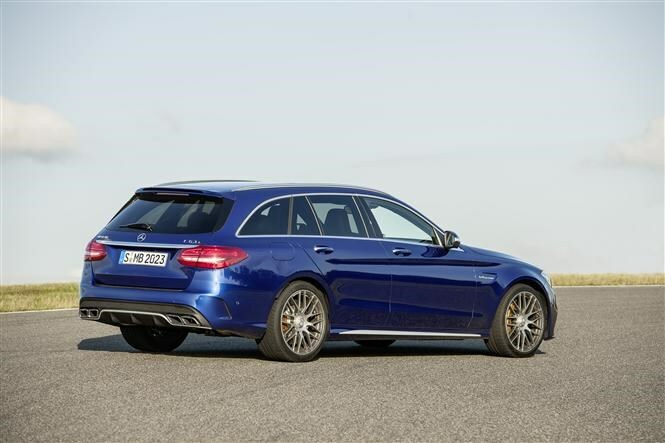 Available in both saloon and estate body styles, in either ‘standard’ or hotter-still C63 S configuration, the German firm promises a “faster, greener, leaner and meaner” offering than ever before. 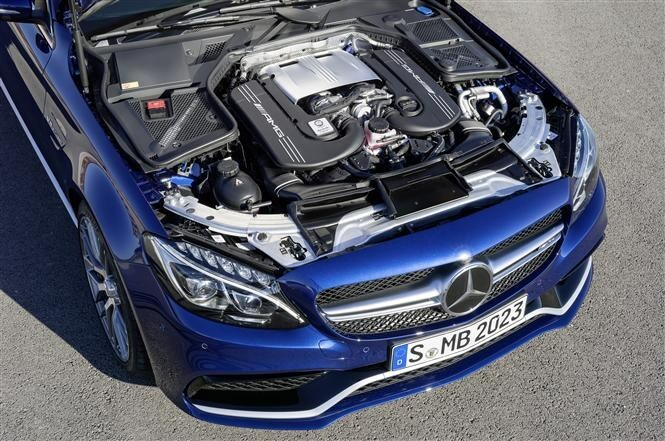 The C63 uses the same engine found in the AMG GT sports car announced a few weeks ago. It’s a hand-built 4-litre twin-turbocharged V8 petrol beast, delivering either 371bhp (standard) or 503bhp (S) with torque figures of 650Nm and 700Nm respectively, available from 1,750-4,500rpm. 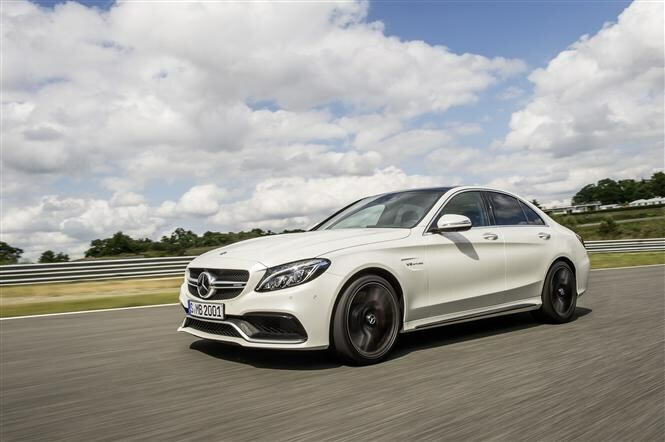 All versions are electronically pegged at a top speed of 155mph, and 0-62mph times range from 4.2 seconds for the C63 estate to four seconds dead with the C63 S Saloon. Those figures make this C63 faster than any that came before it, including the fabled Black Series model from the previous iteration. 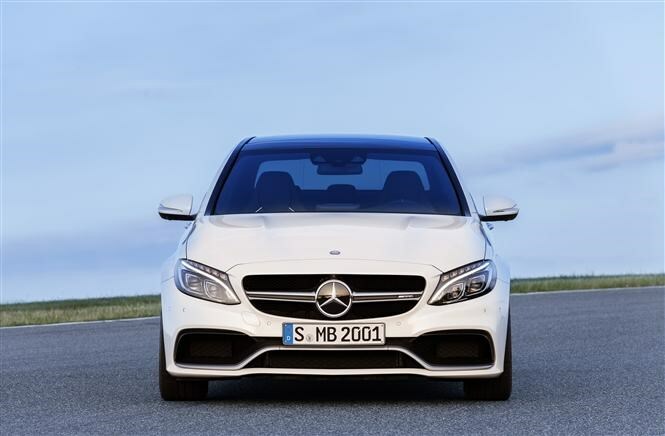 A revised version of the seven-speed MCT automatic gearbox is employed, and Mercedes claims quicker, more responsive shifts are now possible. Thanks to some very clever technology, the engine is almost a third more efficient than the out-going one. 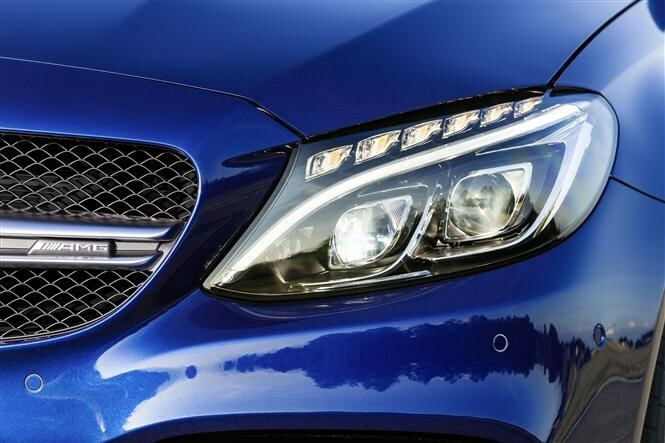 This means that although traditionally very expensive to run, Mercedes claims fuel economy of 34.5mpg for both saloon models and 33.6mpg for the estates. It’s a similar story for CO2 emissions, which remain the same for standard and S models. They’re 192g/km for the saloon and 196g/km for the estate. For 2014/15 that means VED car tax in band J, so £265 per year and £485 in the first year as ‘showroom tax’. That represents a massive reduction of at least 90g/km over the previous version. On paper this C63 promises better handling than ever. It’s fractionally lighter but features three-stage adaptive dampers allowing drivers to switch between comfort and track driving settings while on the move. With this amount of power red through the rear wheels you’ll need a differential to get it all down onto the tarmac, especially through corners where the C63 has been known to be a little ‘lairy’ in the past. Standard models get a mechanical locking rear diff, while S models get a clever electronic item for the ultimate in precision control. The wheels are 18-inch and 19-inch respectively. The engine sits on dynamic mounts, which serve to improve the car’s handling performance when driving quickly, without any ride comfort compromise when not. Its steering has been revised as well, the firm hoping it’ll be the dynamic hit the previous version was. This couples with a wider distance between the front wheels over the regular C-Class, meaning better front-end grip and feedback through the steering. Supplementing the aesthetic boost provided by the wheels, there’s a raft of exterior styling changes over the normal C-Class which hints you’re not driving an everyday diesel Merc. Revised, more aggressive front and rear bumpers join a bonnet with subtle ‘power domes’, while wider front wings hide the wider track at the front of the C63. A small spoiler sits on the rear, while a pair of exhaust tailpipes on either side of the car is the other clue to the car’s performance. Inside there’s sculpted AMG seating, a branded AMG dash and a variety of other AMG badges around the cabin. You also get an IWC clock on the dash for that extra touch of class. Order books open in October, with first deliveries beginning spring 2015. We’re expecting prices to be announced when ordering starts. Parkers will be among the first in the world to drive it, so check back soon for the full Mercedes-Benz C63 AMG review. The new C63 AMG. The new C63 AMG. The new C63 AMG. The new C63 AMG Estate. The new C63 AMG Estate. The new C63 AMG Estate. The C63 AMG's twin-turbo V8.